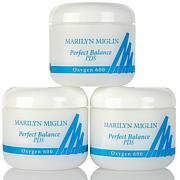 This facial cream provides both immediate and long-lasting moisturization with continued use. 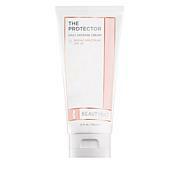 Gently apply the cream to face, neck and décolleté. Apply additional cream if your complexion is extra dry, especially during dry winter months or when you get out of the shower. I have been using this for years and it continues to be the best eye cream on the market. I bought this to try based on other reviews and have to tell you I am so happy with this face cream. I even wear at night when I feel my skin is needing moisturizing. It behaves how I want a moisturizer to. I don't wear a lot of makeup routinely any longer and I feel naked if I leave the house without this on. I feel it makes my skin look luminous and complete without being dewy , which is how I like my face moisturizer. I really love everything about it. Thank You for this GREAT Product ! I really love this brand and trust that it will deliver. 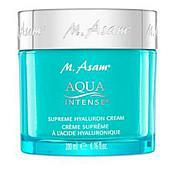 This moisturizer is quite thick at first, but it is clean smelling and moisturizes very well. The packaging is very organic and I like that. Good job, Benefit Cosmetics! This lotion is my absolute favorite. I am so glad hsn is carrying it. This leaves your skin feeling smooth and soft and conditioned! Definitely keeps your skin hydrated! I love this face product it has a nice soft floral scent it doesn't have that heavy feel to it. I love that when I apply it to my skin I feel it working and just one day I can see the difference and my skin feels so soft. This is my first try with benefit. I already love it! Can't wait to try more!